A Canadian actor and comedian has apologized after kissing and licking a CBC Toronto reporter during a live on-air report in an incident the CBC is condemning as "unacceptable." 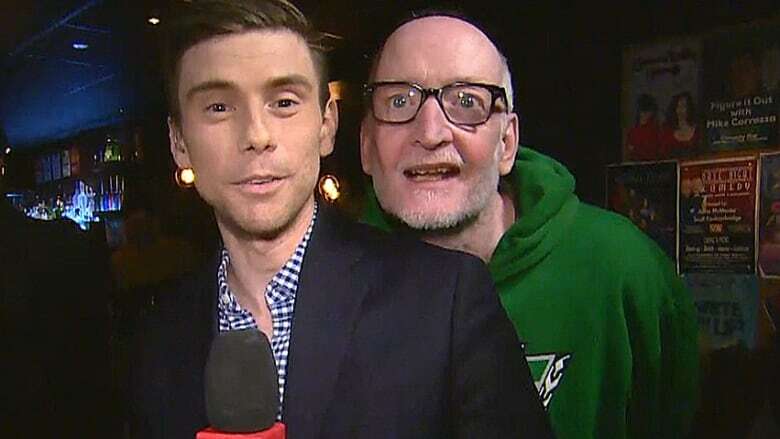 A CBC Toronto reporter has filed a police complaint after being licked by a Canadian actor and comedian while doing a live television hit on Tuesday evening. The CBC is condemning the incident as unacceptable, while Boyd Banks, the actor involved, has apologized and suggested he needs help to treat mental health issues. Chris Glover was at a downtown Toronto comedy club to cover a story on the concerns Canadian performers have about the takeover of a satellite radio station when the incident transpired. Over the course of about 30 seconds, a man — quickly identified as the Saskatchewan-born Banks — approaches Glover and hangs over his left shoulder. What happens next was captured on video and shared widely on social media; a longer video of what happened, which shows more of the lead-up, is included at the bottom of this story. Glover, who spoke to CBC Toronto journalist Farrah Merali on Wednesday afternoon, said he could sense Banks standing behind him and could smell alcohol on his breath. "I could feel something on the back of my neck and on the back of my head … I didn't really know what it was," Glover said. "Looking back, I knew that it was his tongue and he was licking me." Glover said what happened made him feel deeply uncomfortable but he wanted to finish the report. "Things are getting a little awkward out here, so I'm going to pass it back to you," he told host Dwight Drummond as he signed off. Drummond urged Glover to move away from the situation. Glover told Merali he couldn't see the man when he finished his report, and that he left shortly after because he didn't feel safe staying at the bar. He said he's filing a police complaint now because he believes it's the most appropriate way to move forward. 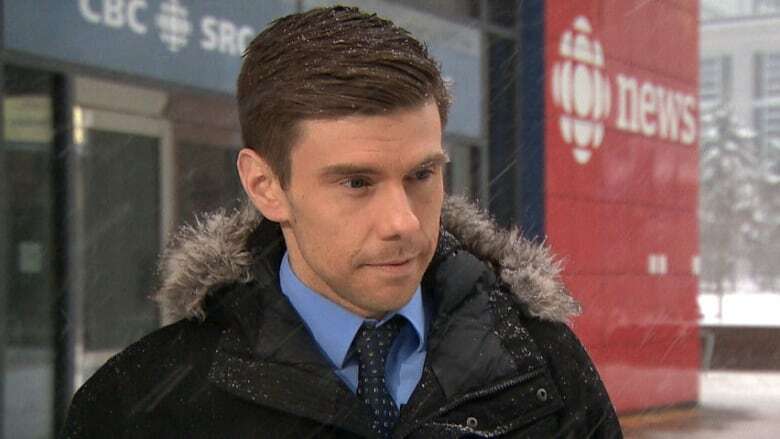 Boyd, reached Wednesday afternoon by CBC Radio's As It Happens, apologized for his actions. "There is no excuse for my behaviour last night. I'm guilty of everything," he said by phone. "I am an idiot," he continued. "I want to apologize to the standup community in Canada and of course the reporter, who was doing his job." Banks has previously appeared on shows ranging from CBC's Little Mosque on the Prairie to ABC's Designated Survivor. On Twitter, where the video has been shared by hundreds, many are posting messages of support for Glover and condemning Banks's actions as assault. The Canadian Association of Stand-up Comedians, which held the event Glover was covering, issued a statement apologizing to Glover and calling Banks's actions "despicable." CBC News, meanwhile, says there are protocols in place to protect reporters working in the field. "Unfortunately, the trend of harassing reporters continues and is something we take very seriously … simply stated, these incidents are as troubling as they are unacceptable," said CBC spokesperson Chuck Thompson in an email. "Chris Glover showed remarkable composure and professionalism in the face of a very awkward situation." Reporters in Toronto and across North America have dealt with similar situations, with female broadcast reporters frequently dealing with accosters yelling "f--k her right in the p---y" during live hits.